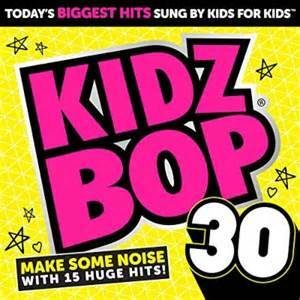 My kids and I are huge fans of Kidz Bop. It is the Top 40 songs that are on the radio sung by kids. It is totally family friendly. All the bad words are left out or changed. They even manage to include Hey Mama on here. 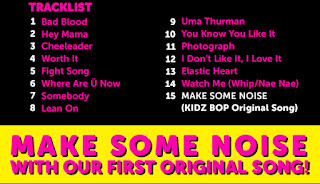 Only Kidz Bop can do that! We were so excited to see Bad Blood on here and Watch Me Whip (Handsome's favorite at the moment). 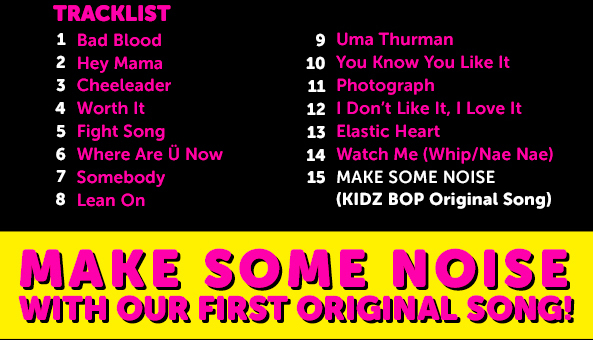 I love that they are hearing the popular songs but in a safe way and the Kidz Bop Kids do a great job of singing the popular songs. Here are the kids singing Bad Blood by Taylor Swift. This CD will be available October 16th but you can pre-order it now.